Discussion in 'Guitar Emporium Archive' started by nibus, Apr 23, 2016. Looking to sell or trade my LP Traditional Pro. It's in very good condition, I'd say 8/10, with some nicks and scuffs here and there, but nothing major. 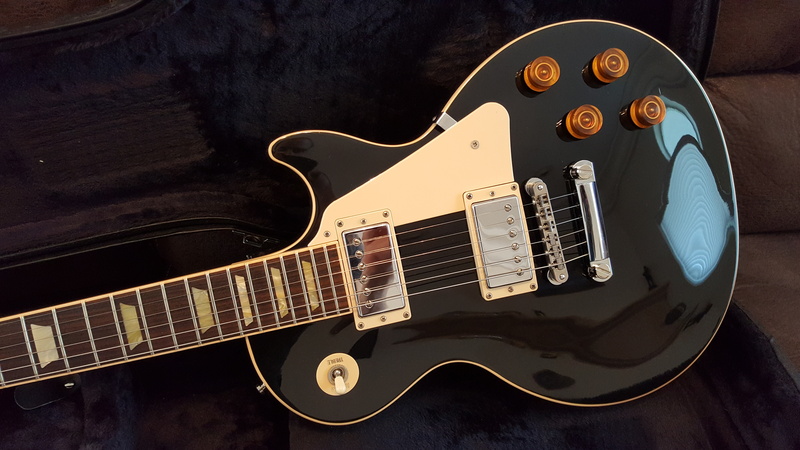 Comes with Gibson 490R and 498T Pickups, vintage braided wire (Pull pots deactivated). Neck is a slim 60's, very little fret wear. Gibson ABR-1 bridge. No fret issues or buzzing, plays perfectly. This is the perfect gigging axe, with pickups that cover all styles. Weight is 8.6 lbs - not too heavy, but still enough heft to get the job done. 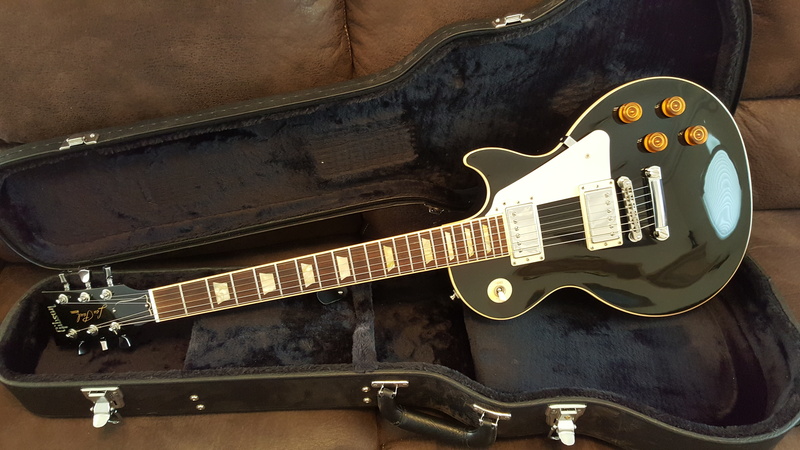 $1375 $1275 Shipped, or trade for another Les Paul Traditional with a 50's neck in a different finish. Ships in non-Gibson hardcase.